To support home ownership we first must support our community. We are committed to several charity and community service events that include scholarships for High School Seniors in Wake County, Wake County Technical College Scholarships, and other industry related non-profit events such as ramp builds and the Home Builders Blitz. Over the last several years, the TSMC participated in a variety of community service projects (some are showcased below). Separately, each November the TSMC held the Big Give - a gift program modeled after Oprah's Favorite Things - as a way to help our members remain upbeat through rough times. Beginning in November 2016, we combined those efforts to form the Big Give BACK - where the focus was now on our community instead of the internal council. Teaming up with Rebuilding Togethe of the Triangle, the council raised money and provided volunteers for projects that made a selected family's home safe and dry. In 2017, the TSMC successfully teamed up again with Rebuilding Together of the Triangle for 2, two-day community service events to help two separate families and their homes that were in need of some critical safety and maintenance needs. The TSMC raised over $15,000 total, and had 100+ volunteers for each project to work in and around the homes. Volunteers repaired roofs, replaced flooring, fixed leaks, replaced windows, installed drains, cleaned up yards and landscape, and more. 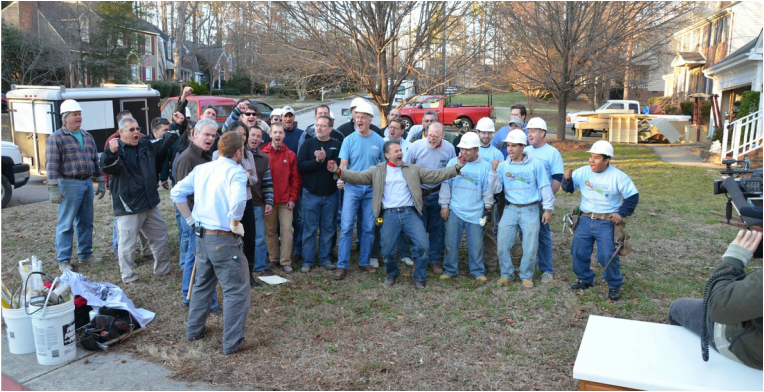 In 2018, the TSMC's Big Give Back benefited both CASA and Rebuilding Together of the Triangle. ​What started as just an annual Big Give event, held during a monthly breakfast that only benefited members internally in our industry, has transformed into the Big Give Back to help homeowners in need in our community twice a year. As the 2014 community service chair for the Remodelers Council and President of Paragon Building Group, Joshua Mauney heard about The Green Chair Project’s challenges and brought the idea to the rest of the council during a planning session last January. Since moving into their facility in November 2011, the volunteers and staff of The Green Chair Project have been providing home furnishings donated by the community to families and individuals who are transitioning from homelessness or disasters into secured sustainable housing. The donations they receive - everything from sofas and bedroom sets to dishware and home accessories - are carefully cleaned and repaired by volunteers so that they may be presented with dignity and respect to these families. At times, there can be as many as 30-40 volunteers working at The Green Chair Project on a particular day. There was one problem. With only one sink available inside the entire 36,000 square foot facility, that one sink had to be used to make coffee, fill mop buckets, and clean and prep donated furniture and accessories. The council voted to adopt The Green Chair Project as their 2014 Annual Charity Renovation. 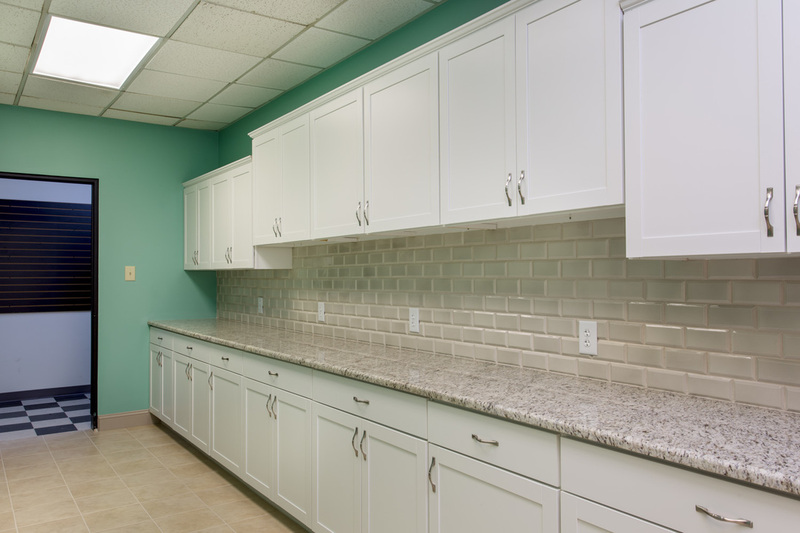 Their work transformed one sink into two new kitchens, two bathrooms, and even added some new curb appeal for the building. As a result of the newly renovated work space, restrooms and kitchen, The Green Chair Project will be able to have a greater impact in serving the community and be more efficient in everything from processing donations and to accommodating our guests and volunteers. The renovation efforts were designed to improve the volunteer work areas so they can continue to grow and serve people with greater efficiency. The charity renovation, valued at $133,700, took place for two weeks during October 2014. 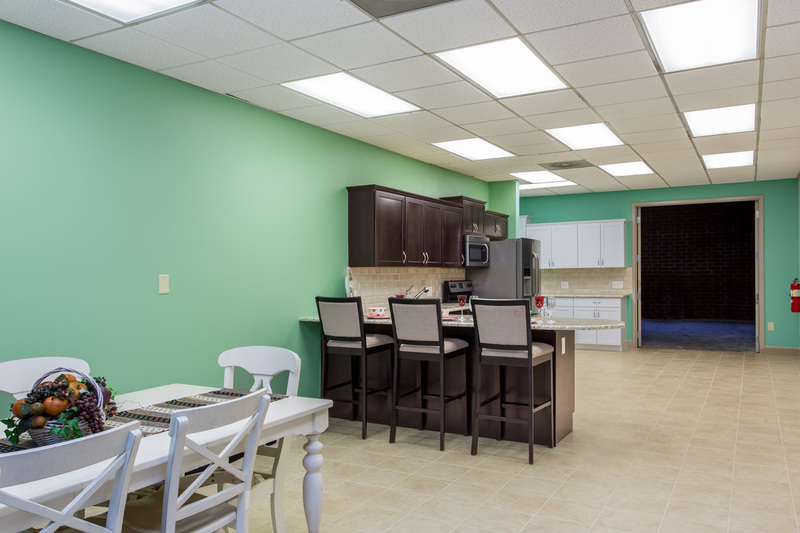 For one week during November 2013, members of the Remodelers Council, along with other HBA members, descended upon the Wake Interfaith Hospitality Network (WIHN) facility for a complete building-wide upgrade. The facility, which provides temporary housing and stability to homeless families in the Wake County area, was in need of major repairs following two different floods and the wear and tear that comes with providing a home base to over 200 children and their families each year. Renovations to the 7,000-square foot facility included replacing flooring both upstairs and downstairs, painting in every room, replacement of secure lockers used by families during their stay, upgrades to the laundry room, a new television and cabinet in the classroom, a total refurbishing of the outdoor playground set, and upgrades to both a kids’ room and teen room, along with many other touches. Led by Community Service Chair Louise Davis and Remodelers Council Chair Deveraux Hamilton, the group successfully completed the work in a week! Members from the Triangles Sales and Marketing Council (TSMC), part of the Home Builders Association of Raleigh-Wake County and Durham, Orange & Chatham Counties donated 14,065 pounds of food, or 11,844 meals, to the Food Bank of Central & Eastern North Carolina through Canstruction® Raleigh in September 2012. 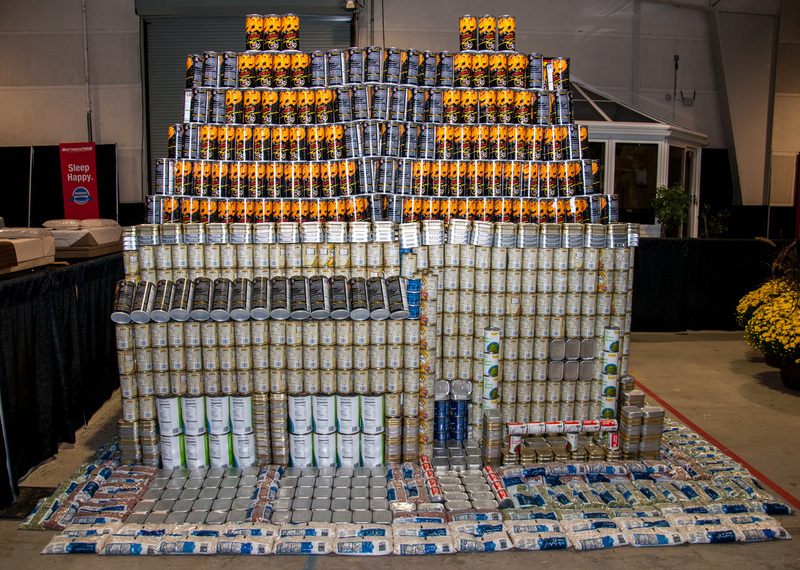 The event called, Build Against Hunger sponsored by Stock Building Supply, showcased structures made entirely out of canned food by the three builder teams - KB Home, Lennar, and M/I Homes. The can structures, were on display and open to the public during the weekend of the Southern Ideal Home Show, Sept. 21-23. After the home show, the structures were broken down and the food was donated to the Food Bank. 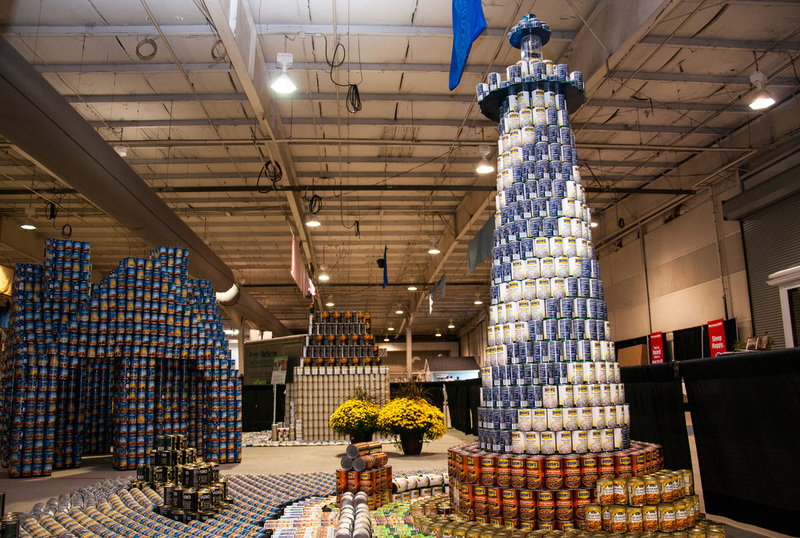 Canstruction®, Inc. is a registered 501(c)(3) nonprofit organization that holds annual design and build competitions where all of the food used in the structures is donated to the local food banks. Since its inception, the group has donated more than 10 million cans of food to organizations working to fight hunger. 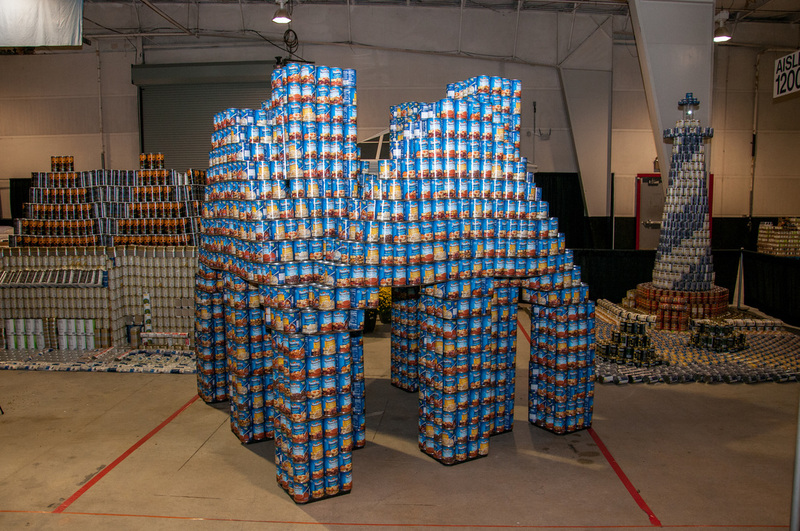 To read more about Canstruction, visit their website. www.canstruction.org. Teams had one day to complete the build which was held on Tuesday, Sept. 18.One team created their company logo, another team built a house, and the third team built the Cape Hatteras lighthouse. Food Lion provided discounts on the food, and each team was responsible for determining their structure, can selection and covering the cost of food. The New Bern House, a transitional home and food shelter that is part of the Helping Hand Mission and an asset to the City of Raleigh, received a whole house electrical update and kitchen renovation through the Remodelers Council of the Home Builders Association of Raleigh-Wake County in the Fall of 2011. Harold Glazer, president and CEO of H Glazer Builder Inc., oversaw the project for the Remodelers Council. 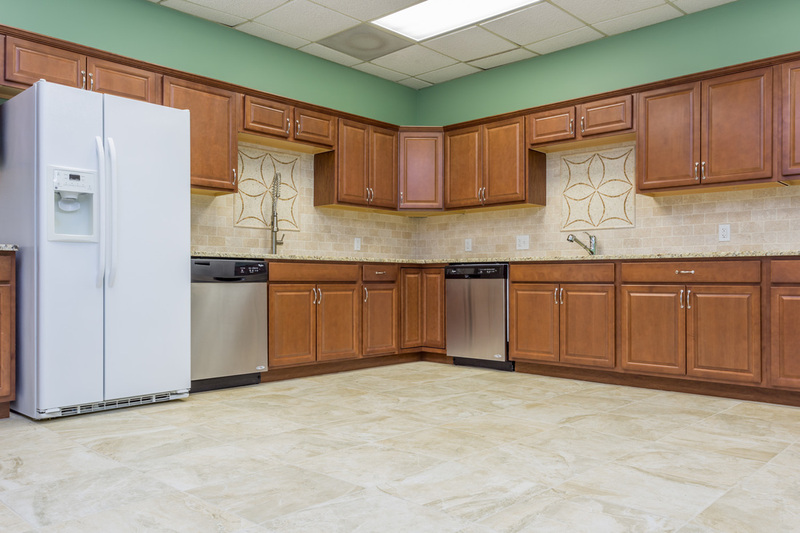 The large kitchen renovation included the addition of two commercial sinks, new cabinets, expanded pantry for food storage, new flooring, and electrical and HVAC upgrades. The renovation also added four oven ranges, eight gas burners, three refrigerators, and four microwaves. Considered an asset by the City of Raleigh, the New Bern House is a food shelter and serves on average 120 people/day during the week, and 200 people/day on the weekends. Over this upcoming Thanksgiving and holiday seasons, the house will serve around 7500 meals. The house receives regular food donations from various local restaurants and food organizations. The food is then reheated and served. 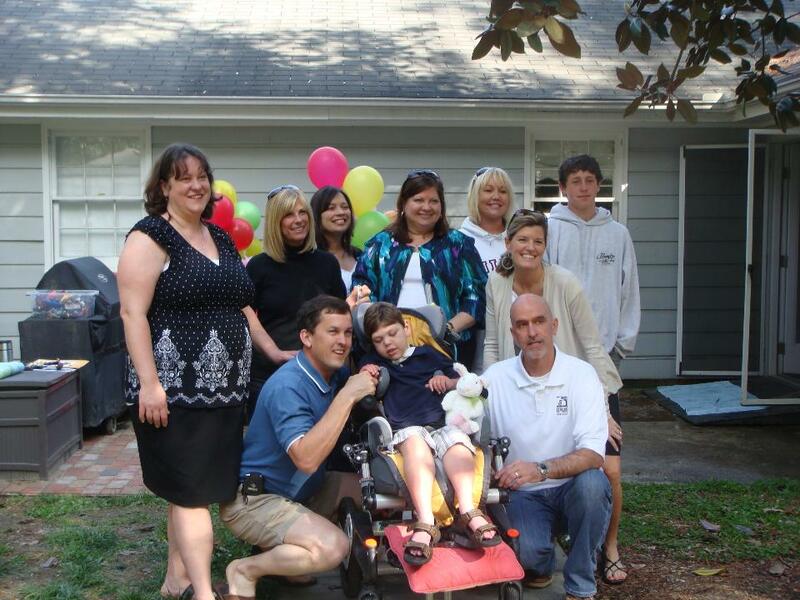 Members of the Triangle Sales and Marketing Council (TSMC), including Wayne Holt of Reward Builders, Inc., completed a fantasy bedroom makeover for a special boy with several physical and medical challenges in the Spring of 2011. Eight year old Justin is a chronically ill child with several respiratory, digestive, and orthopedic symptoms that limit his ability to be outside. He is mainly restricted to his bedroom inside a house that is burdened by increasing electrical, storage and medical demands needed for his ongoing care and treatment. After learning about the difficulties that face the family on a daily basis, volunteers from the TSMC, part of the Home Builders Association of Raleigh-Wake County and Durham, Orange & Chatham Counties, teamed up with April’s Angels to remodel Justin’s bedroom. The bedroom makeover was an “under the sea” theme. 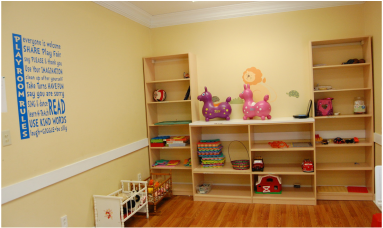 In addition, Reward Builders, Inc. was able to upgrade the lighting, electrical and flooring, and added a wall of storage cabinets in the bedroom. April’s Angels™ is a non-profit organization which provides fantasy bedrooms to children with chronic illnesses or conditions in central North Carolina. Their mission is to bring new life into the homes of families with children whose activities outside the home are limited due to their illness or condition. View the video from this project. The Remodelers Council of the Home Builders Association of Raleigh-Wake County was invited by NBC’s Today Show and George to the Rescue, a home improvement television show, to serve as the certified experts [several remodelers have CAPS (Certified Aging in Place Specialist) designations] for a special volunteer project that will benefit a bride who was paralyzed during a tragic accident. Learn more about CAPS here. On Feb. 10, 2011, NBC’s Today Show announced a surprise home renovation project for Rachelle Friedman and her fiancée, Chris Chapman. This rescue remodel project has modified their Knightdale home and created more usable living space for Rachelle. Working alongside the host of George to the Rescue, George Oliphant, the Remodelers Council has made the couple’s two story home wheelchair accessible by installing an elevator, renovating the master bathroom, redesigning their master bedroom to include a walk-in closet, upgrading their kitchen, and renovating the deck. The show utilized the knowledge and expertise of the Remodelers Council members, many who are CAPS (Certified Aging in Place Specialist) certified. Watch the George to the Rescue Remodel Part 1 and Part 2! 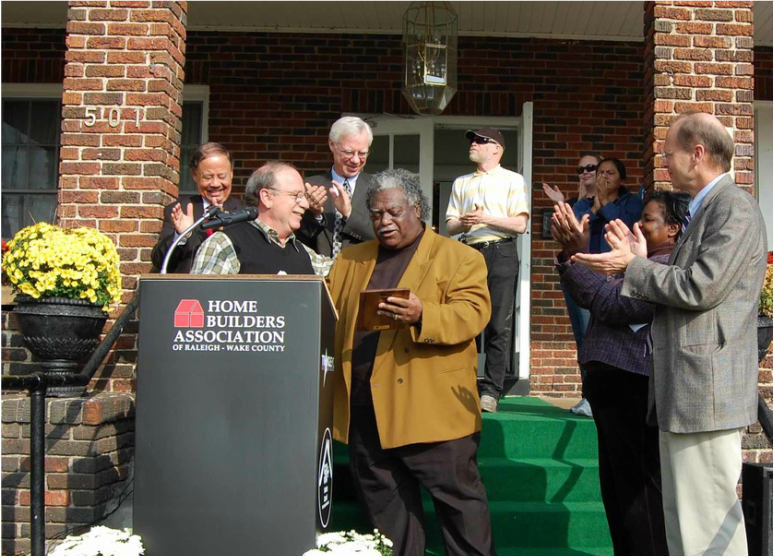 In October of 2008, members of the HBA built and donated a home to veteran Joey Bozik, the project’s first recipient. Bozik, a sergeant in the 16th Military Police Brigade based at Fort Bragg, was injured in 2004 when his Humvee hit a bomb south of Baghdad. 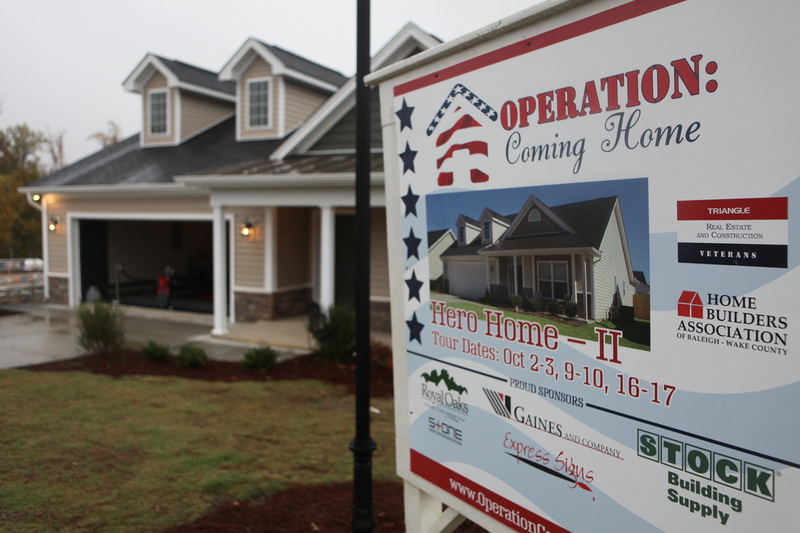 Operation: Coming Home continues to build and give away homes with the help of our local home builders and subcontractors. The organization has worked with builders such as Pulte Homes/Centex, Lennar Homes, M/I Homes, Royal Oaks Building Group, Chesapeake Homes and CalAtlantic Homes. One of the annual priorities for the Remodelers Council of the HBA is an opportunity to serve the community through a volunteer project. In June 2010, the council planned a short project for the Wrenn House Crisis Intervention Program, a homeless/runaway/crisis intervention program and shelter for youth in the Triangle. In 2010, this initial small project turned into a whole house remodel to benefit the quality of life for at-risk youth. 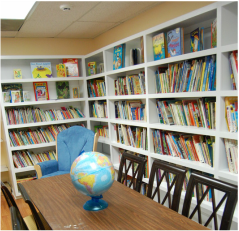 The large remodel project would not have been possible if not for the remodelers and companies who donated labor and materials for the renovation. The Association believes in the college dream. To help make this dream a reality, the association offers college scholarships to students enrolling in construction and building trades in North Carolina who will attend Wake Tech Community College and/or NC Public Colleges.These trades can include: electrical/electronics technology, air conditioning, heating and refrigeration, plumbing technology, architectural engineering technology, civil engineering technology and surveying. 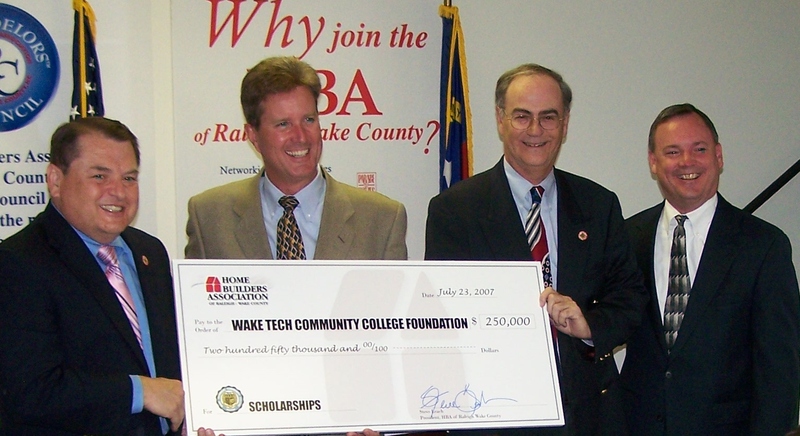 On July 23, 2007, the HBA presented, a ten-year, $250,000 scholarship commitment to Wake Tech Community College. The scholarships are awarded on the basis of academic achievement.